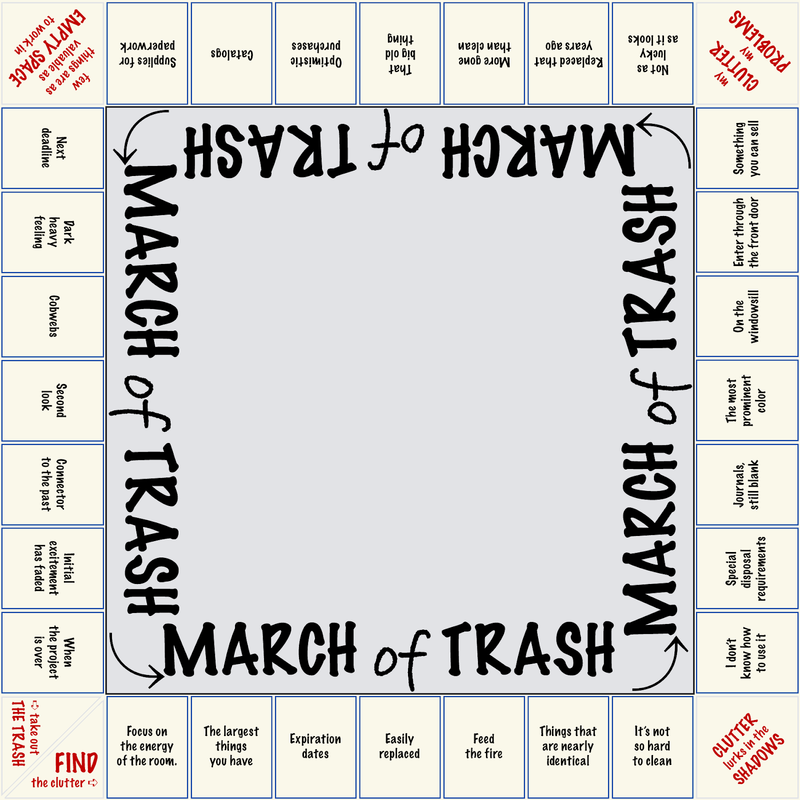 That’s why the prompts on the March of Trash game board jump around from one point of view to another, sometimes in surprising ways. When you are startled out of your accustomed way of looking at things, that could be the moment when you see things for what they really are. Clutter gets in the way of anything you might want to do. It is best to have only the objects you will actually use and not too much more. 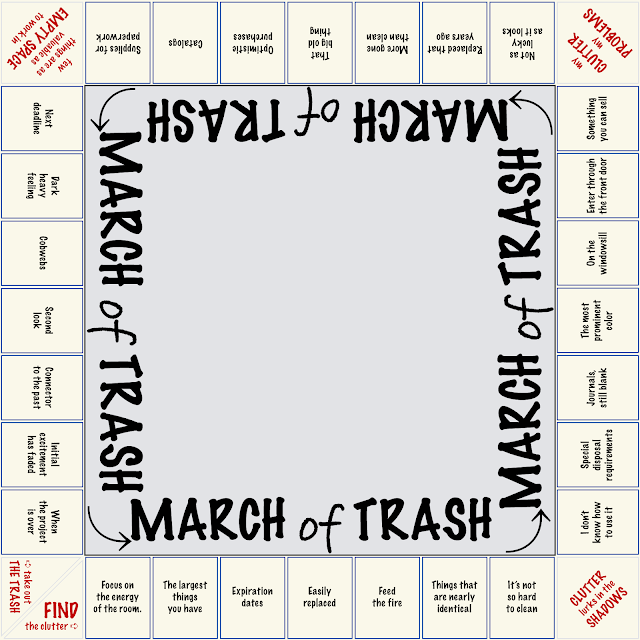 If you’ve made it through the month of March and found clutter in unexpected places, feel free to go for another spin around the board, a victory lap if you will, to find more clutter was also right in front of you all this time.